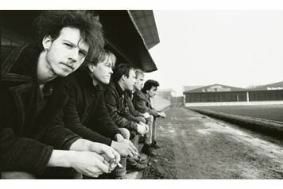 Half Man Half Biscuit join campaign to save 6 Music | What Hi-Fi? The station has been earmarked for closure by BBC Director General Mark Thompson. But now a group of campaigners is encouraging 6 Music's loyal band of listeners to push the band's song Joy Division Oven Gloves into the charts, ideally at No.6 to match the identity of the station. 6 Music fans are being urged to buy the song this week to get it into the chart on Sunday, April 12th. The commercial radio Top 40 has a top 10 based entirely on iTunes sales figures, allowing listeners to influence chart positions. This latest plan follows an earlier (and successful) one to make Rage Against the Machine's Killing in the Name the Christmas No.1 instead of the single released by X Factor winner Joe McElderry.